Asheville Music Hall is located in the heart of downtown Asheville. The music hall opened in 2011 at the location of the former Stella Blue. Asheville Music Hall is the premier mid-sized venue in Asheville which offers quality production for artists, events, and fans. 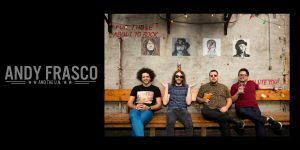 With a 360 capacity Asheville Music Hall has hosted musical legends such as Ghostface Killah, Del tha Funkee Homosapien, and Disclosure as well as up and coming artists such as Papadosio, Everyone Orchestra, and Dopapod. We’re an all-genres venue that provides an intimate, live music experience for all music fans. 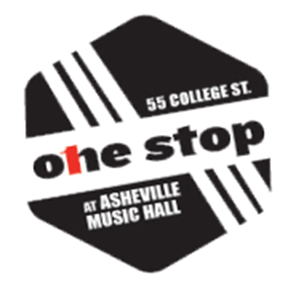 The One Stop at Asheville Music Hall is a neighborhood hangout in the heart of downtown Asheville, providing you with great entertainment and affordable drinks all week. The One Stop strives to bring you the best Local, Regional and National music we can fit into our room. Keep your eyes out for great music of all descriptions and special events with national artists. We are also committed to growing the local and regional music scene – come see them here first! We encourage local bands to visit our contact page for booking information. Mojo kitchen has focused their menu on using many local, regional & seasonal ingredients to provide quality food in a casual setting. We use primarily locally sourced meats from Apple Brandy, Ashley, & Heritage Farms. We also use many products made right here in Asheville such as Smiling Hara Tempeh, Lusty Monk Mustard, Annie’s Organic Bread, Crooked Condiments, Geraldine’s Bakery, Gypsy Queen Falafel…We love to support our local economy!